As leaders we are sometimes expected to know all the answers – sometimes even before the questions are known. But buying into that expectation means that we risk sacrificing the very thing we need to lead with effectiveness: the right questions. That’s why it’s important to resist the clamor for fast answers, any answers, and learn instead to lead with questions. Some leadership models barely allow for questions. They rely on the idea that intelligence resides at the top, and that leaders don’t ask but tell. The resulting atmosphere makes growth impossible, resulting in stagnant leadership and a workforce that is less smart, less productive, less aligned, less effective, less energized, and less successful. The right questions lead you to the right answers, which equal the right success. 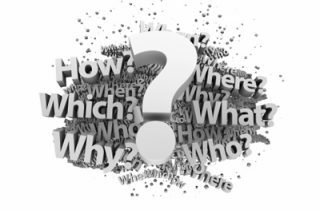 So what are some of the tangible benefits of leading with questions? Leading with questions makes you a better listener. It encourages attentiveness and shared perspectives. The act of questioning reinforces the idea that everyone is important and that we create success by serving one another. The power of questions can strengthen relationships, develop new business, and influence others. When you’re making genuine inquiries into a conflict, it fosters a spirit of neutrality. Questions that acknowledge the feelings of others can help you view all sides and prevent conflict. Questions help you read and understand key aspects of people and relationships. To ask is to show interest. And people want to know they matter. Good questions energize people, and a questioning culture can energize an entire organization. It helps everyone understand that questions are expected to become a primary mode of communication, emphasizing the thinking and learning over telling. Asking questions shows an inquisitive heart and a open mind. Questions emphasize community over individuality and improve teamwork by giving everyone an opportunity for input. When we lead with questions, we can help everyone in our organisation bring about useful objectives, reduce resistance, pursue innovation and generate transformation. Lead From Within: A leader is as good as their questions. When you ask questions, you will change what you know. When you change what you know, you will have a new understanding. When you have a new understanding, you change your actions—and, ultimately, your leadership.